At SeaWorthy Rentals and Events we provide a beautiful waterfront property that is perfect for any wedding or corporate event. Our accommodations have everything on site from a yacht to perform a wedding on the bow to your own private shuttle limo service. Our vacation rental accommodations sleep up to 16 people in 4.5 bedrooms with 2 large balconies over looking the manicured land scape and water. 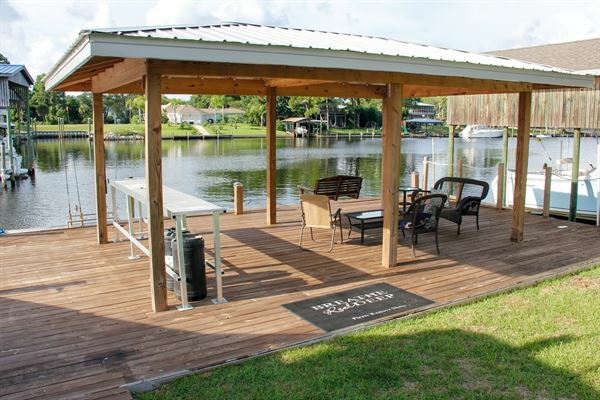 On property we also have amnesties such as private rental boat, gazebo, bycles, kayaks, Green Egg, covered patio, massage therapist, and much more.